Winner of three Catholic Press Awards. 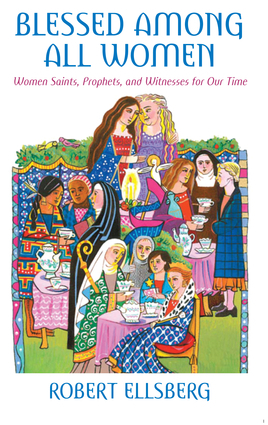 The best-selling author of All Saints presents this new collection of devotional sketches on history’s greatest women. From Joan of Arc to Anne Frank to Mary Magdalene, Ellsberg offers insights into the lives of women that inspire us. From 1975-80 Robert Ellsberg was part of the Catholic Worker community in New York, working with Dorothy Day during the last five years of her life, and serving for two years as managing editor of the Catholic Worker newspaper. He has devoted much of his life to promoting Day's life and legacy, editing Dorothy Day: Selected Writings, The Duty of Delight: The Diaries of Dorothy Day, and All the Way to Heaven: Selected Letters of Dorothy Day. Aside from his two Crossroad titles, he has also written The Saints' Guide to Happiness, and edited anthologies of Gandhi, Thich Nhat Hanh, Charles de Foucauld, and Flannery O'Connor. Since 1987 he has served as Editor-in-Chief and Publisher of Orbis Books.